Take the worlds breath away! This officially licensed replica sword from the HBO show Game of Thrones is modeled after the prop used on the show. Our Damascus Steel Widows Wail features high quality materials for a unique appearance. Damascus steel is known for the unique markings to the steel which helps mimic the metal used to make this unique blade on the show. The six notched gold handle has riveted grooves running the length and the stand out red gems pop from the gently curved guard and pommel. Not to be outdone by the complex design of the blade, looking closely at the pommel will inspire awe in you and your friends when contemplating the amount of time and effort was put into each unique ropelike notch. The thick guard is accented by crownlike points and features a carving of an impala with horns surrounding the red gem in the center. There is nothing quite like this blade! 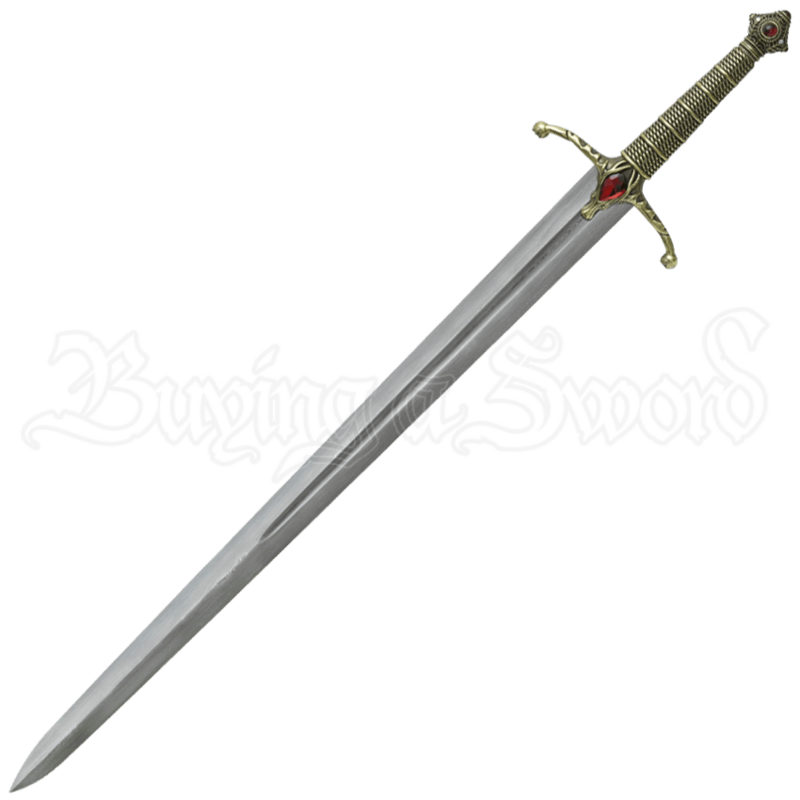 Included with this replica sword is a certificate of authenticity and a display plaque. 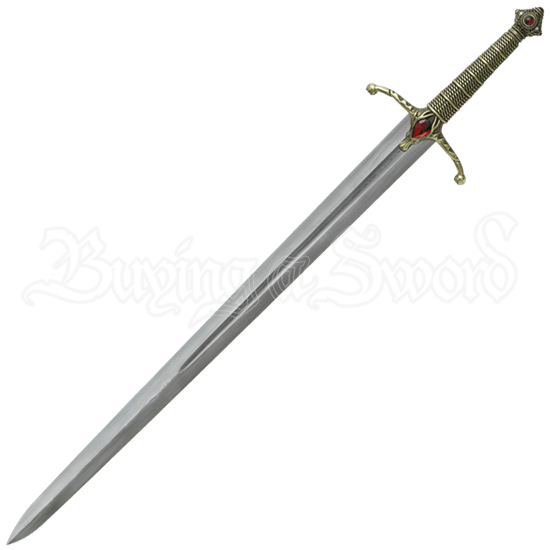 Give this Lannister sword a home on your wall and solidify your status as the ultimate fan of the hit show with our Damascus Steel Widows Wail.